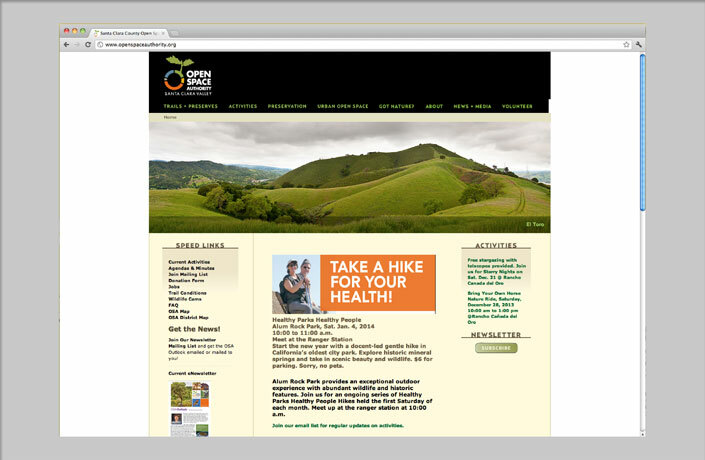 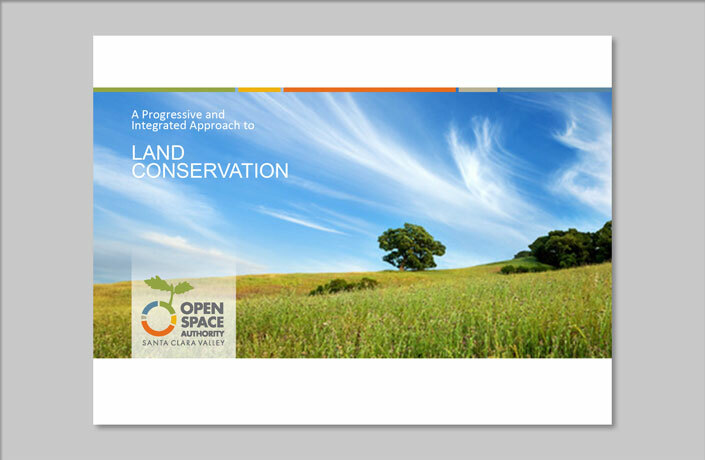 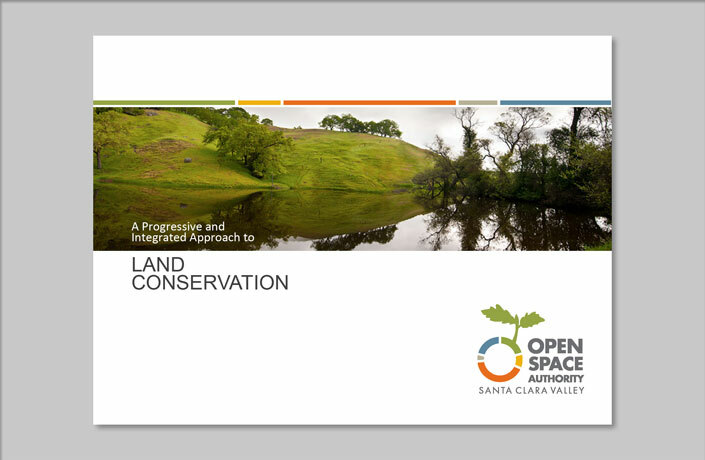 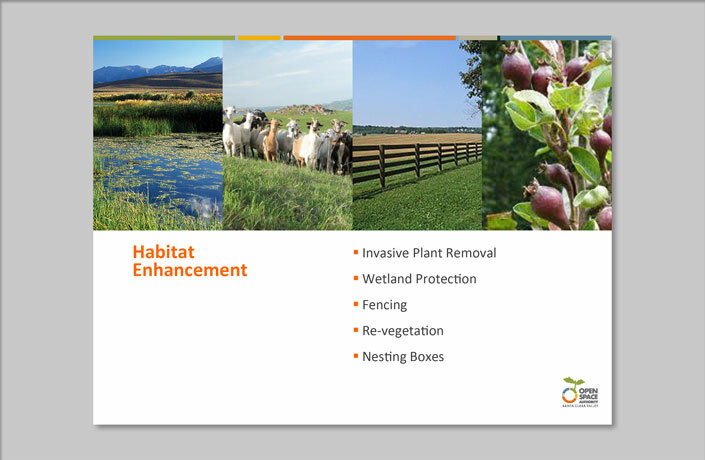 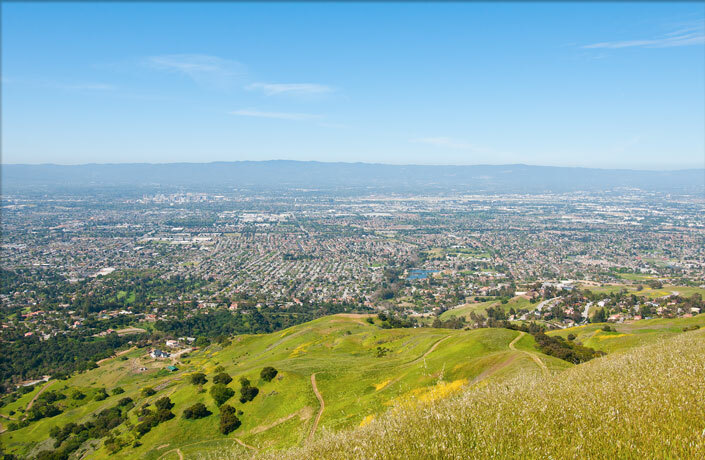 The mission of the Open Space Authority of Santa Clara Valley is to conserve the natural environment, support agriculture and connect people to nature by protecting open spaces, natural areas, and working farms and ranches. 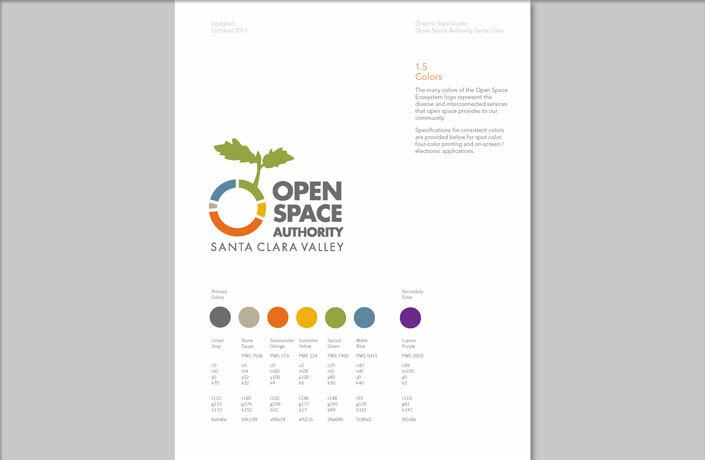 In 2013, The Open Space Authority retained L Studio to re-imagine the agency’s brand to reflect its progressive goals and regional vision. 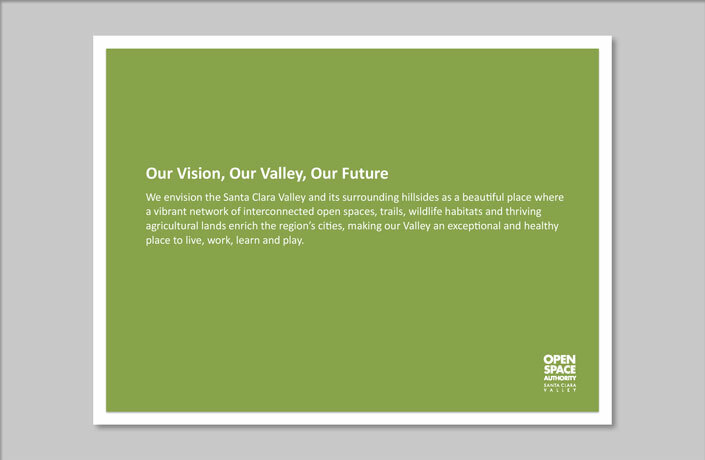 Given the agency’s location in the heart of Silicon Valley, L Studio approached the assignment with an eye toward conveying innovation, connection with place, and an openness that would attract a new generation of land stewards. 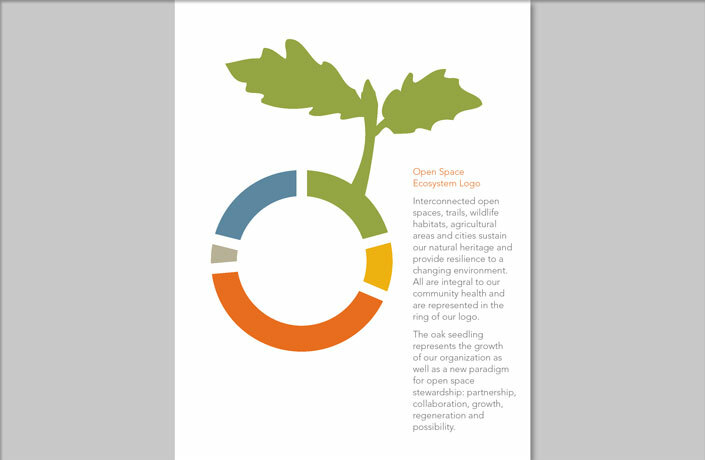 The resulting identity seeks to capture a spirit of interconnectedness, integration, partnership and aspiration. 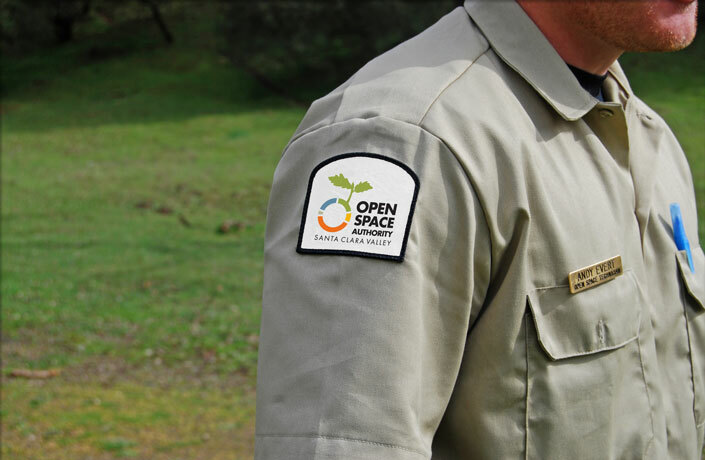 Paying tribute to the agency’s original logo, the new identity trades a mature oak tree for the hopeful sprout rising from an interconnected ring representing an ecosystem of natural and cultural resources. 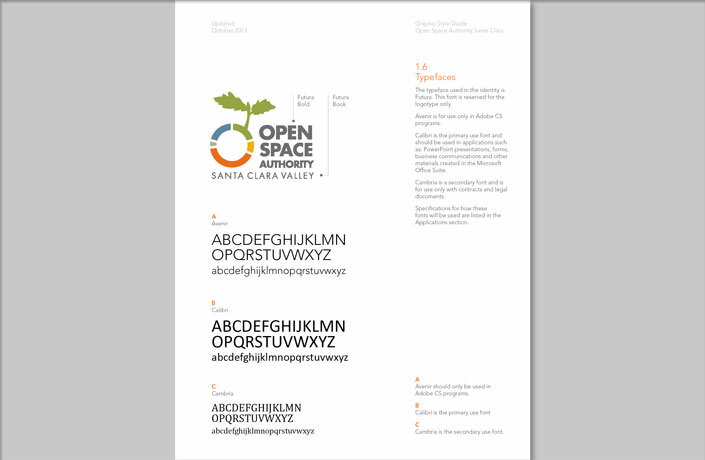 Design of a set of brand guidelines detailing the logo’s meaning and specifications, as well as guidelines for its application to ensure consistency and clarity in the new identity system. 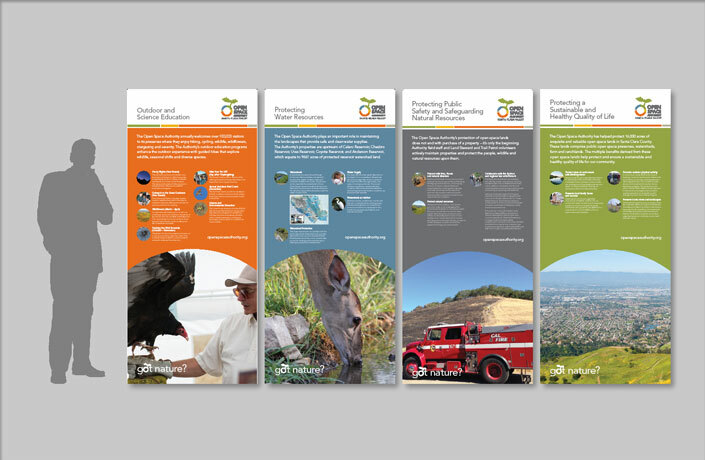 Design of a new PowerPoint template to complement the Authority’s new identity system and application of the logo to its existing website and other digital communications. 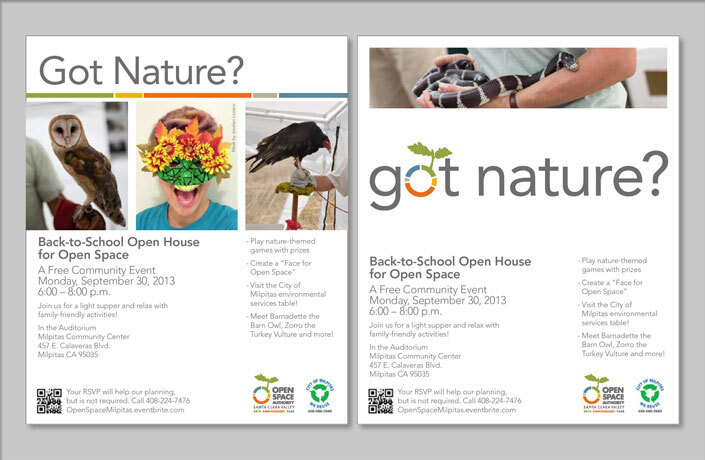 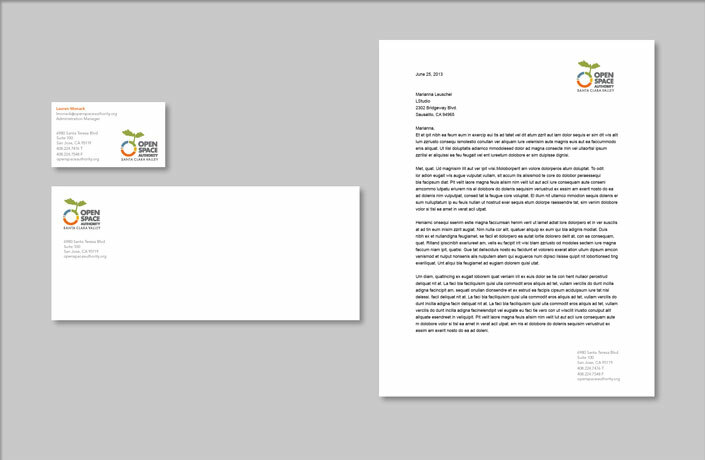 Design of a new stationery system, ad templates, posters, and other print applications incorporating the new identity. 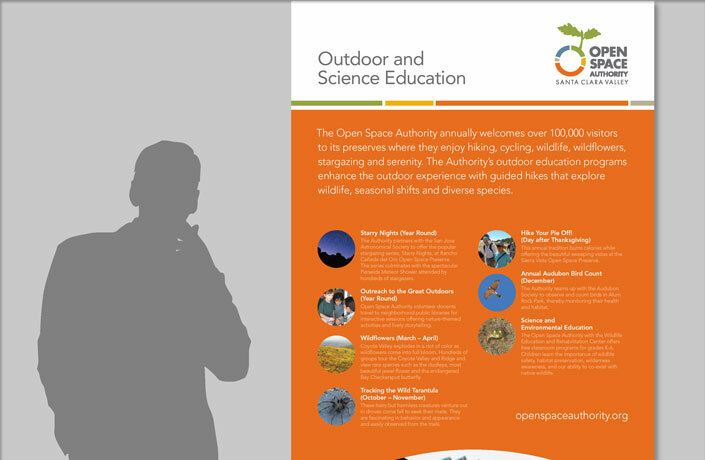 Design of a series of educational banners highlighting the four major areas of conservation in the OSA and patches to identify OSA field staff.